With video being such an important part of documenting your day-to-day life, we can’t imagine Tampa Bay couples forgoing it on their wedding day. While photography freezes those important moments on your wedding day, videography documents the sounds, laughter and movement that you can easily miss in the excitement of it all. We are extremely choosy when it comes to accepting wedding videographers for our preferred wedding pro list, however, when we saw Imagery Wedding Films work, we just knew we had to share their talent with our readers. Plus, when we learned about owner and head cinematographer James Blankenfeld’s previous video experience, we thought he was the coolest guy ever! I think the thing that made me really want to start my own business was the fear of falling into that mundane 9-5 office job life. I’ve always been a creative person who loves to tell stories. I spent eight years working in New York City as a camera operator for reality television shows like Project Runway, NBC’s The Celebrity Apprentice, HGTV’s Design Star and My Fair Wedding. I worked alongside another wedding company between camera gigs on reality shows and being a part of someone’s big day like that and the impact that you are making in their lives was something that was so infectious that once I got a taste of how fulfilling that was, there was no looking back. First and foremost, I draw my inspiration from the couple. I meet with my couples before their wedding to get to know them, who they are, what they love to do, what makes them unique to all the other couples that I film, and then I create their story that reflects them. I also draw inspiration from many of the top cinematographers and wedding videography companies that are currently at a level that I aspire to reach in the near future. What makes your business stand out from other wedding videographers? What makes a painter different than another painter? It’s such a tough question to answer. We all shoot with similar cameras, and we all shoot the same moments, but it’s how we perceive those moments that make companies stand out from others. My shooting style is very cinematic. I don’t shoot documentary style where I strictly capture the moments as they happen, but I make each couple feel like they are actors in their own film. I try to give new angles to each shot and really capture those small candid emotional moments that other companies might miss or capture very one dimensionally. For me, each film is unique to that couple, rather than a cookie cutter film where the only thing that’s different is the people in them. The couples. They are the reason that I enjoy getting out of bed on a wedding day and start filming. Every couple and every wedding is so different and unique, and I just enjoy the new challenges, new venues, and new vendors that I get to work with each and every time. What is one of your most memorable moments as a wedding professional? My most memorable moment as a wedding professional was when I filmed a wedding for my good friends Alexis and Jon. After the film was complete, I went over to their house and presented the film to them. Then we watched the film together and just witnessing them holding hands, crying, watching and reliving these moments again just really drove home why I do what I do. Their reactions to the work that I created for them was truly inspiring, and I hope to have many more of those moments with other couples! Videography, duh! Videography has come a long way since the cheesy days of the 90’s, but it’s not quite to the level of importance at a wedding like photography. Videography isn’t a “must have” like having photography is, but video captures so much that photos can’t. Video captures voices, laughs and awful or great dance moves. During your vows, photos capture your facial reactions, but video captures the words. I can’t tell you how many times a bride has opted out of hiring a videographer for their wedding and the one thing that they regret is not hiring a videographer. I know that video isn’t cheap, but if you can find a way to have a videographer at your wedding, it’ll be the greatest investment you’ll make! My friends and family. They are the people who keep pushing me to be better and always striving for more. As much as you I love working and filming weddings, you can never forget to dedicate time to the family and friends in your life! What is one thing that most couples would be surprised to know about you? Most brides and couples don’t know that before I started filming weddings, I worked on network television in New York City. 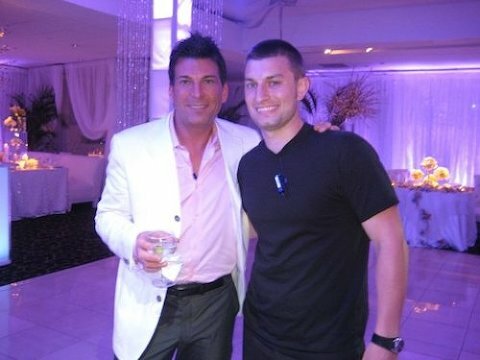 I worked as a camera operator for over eights years on shows including My Fair Wedding with celebrity wedding planner David Tutera, and yes, David really is that good! I’ve found over the years that this experience prepped me for what can sometimes be a crazy whirlwind on a wedding day. I got used to the fast paced, high-stakes environment, and I use that now to stay focused and always make sure I’m doing the best work possible for my couples. The amazing couples and the amazing weddings! I have so many great couples coming up, some phenomenal venues with vendors I’ve never worked with before and a few of them are out of state, which is always exciting to be able to travel to new places! What is the best piece of advice you an give to a couple searching for a wedding videographer? Do it. If you are hiring a photographer, you need to be hiring a videographer. Don’t wait until you’ve spent all your money and have a tiny budget, because remember, you pay for what you get. If you want to spend sub $1,000 on a wedding film, you will get a sub $1,000 product. You don’t have to spend $10,000 on a videographer, but do your research. Make sure you are connecting with companies who are producing the type of film that you know you’ll fall in love with and want to watch one, give or twenty years later. Don’t hire a company just because they are the cheapest! There are a lot of companies out there that are only in it for the money, who don’t care about the couple and just want the paycheck. Do your research, check out numerous companies and find the one that you connect with the best! 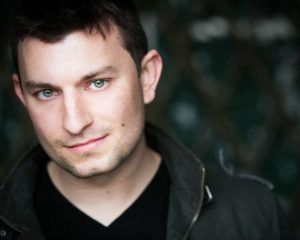 Founder and Head Cinematographer, James Blankenfeld, has over eight years of experience in the reality television industry as a camera operator for television shows like Bravo’s Project Runway (with Heidi Klum, Michael Kors, Nina Garcia, and Tim Gunn), Lifetime’s My Fair Wedding with Celebrity Wedding Planner David Tutera, HGTV’s Design Star and NBC’s The Celebrity Apprentice, as well as having shot over 90 weddings in his career. Some of his wedding work can be seen featured in the Huffington Post, The Knot and other publications. James is extremely passionate about his craft and always looks forward to handcrafting beautiful, cinematic wedding films for his clients. His style of work is non-traditional and the day of filming is unobtrusive (as he’s looking for natural-candid/raw emotions). With Imagery Wedding Films, you can count on professionalism, high-quality and peace of mind on your wedding day. 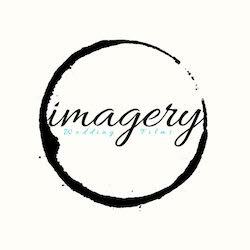 Imagery Wedding Films is a boutique studio located in the Tampa Bay area and services the local Atlantic Southwest, but also travels nationally and internationally to film your special day.